"By far the best dentist office I've ever visited in my life! The staff that I have encountered as well as the dentist were very friendly and helpful. Never before has a dentist explained every detail to me of what they saw and used the x ray and photos to help me see the issues. If I could give more than 5 stars, I would!! They've got a patient for life. 😁"
Axiom Dentistry is committed to helping patients afford their dental care needs. Since 2001, Axiom Dentistry has been providing the highest level of care to patients in the Knightdale, Cary, Cary, Clayton and Zebulon areas, and we continue to grow with our newest location in Louisburg. We represent the latest evolution in comprehensive oral care and provide full-service dentistry with the most up-to-date technology in a warm and comfortable environment. When you choose Axiom Dentistry, you can expect top-notch dental care from a caring, gentle and experienced team. The entire dental team at Axiom Dentistry seeks to provide premium dental services that fit the unique needs of each patient. Our goal is to provide a confident, healthy smile in a warm and inviting atmosphere that was designed to deliver a comforting dental experience. At Axiom Dentistry, we are dedicated to helping you improve your overall dental health and create a beautiful new smile. We foster patient relationships based on mutual trust, excellent customer service and the best personalized patient care available. Our team is devoted to restoring, enhancing and maintaining your teeth using conservative, state-of-the-art dental procedures. At Axiom Dental, our experienced, professional team is committed to ensuring our patients the best dental care in the area in a friendly, comfortable and convenient atmosphere. Our mission is to provide you with comprehensive dental services that will enhance your smile as well as your health and comfort. We welcome new patients and look forward to providing you with the personalized care and attention that you deserve. Read more about our services. "Dr. Malek is amazingly patient with children. My daughter has special needs and we've always received treatment from a pediatric dentist. Well, no more! Dr. Malek was so compassionate and caring and made my daughter feel so comfortable. What a pleasant experience!" "I absolutely love this dental practice. The staff are all really friendly, helpful, and accommodating. It's easy to get in for an appointment as they have multiple providers. You can choose to see one particular dentist or choose to see whoever is available. I see whoever is available and everyone has been wonderful." "Best dentist ever. Best staff ever. I will never go to anyone else ever again. 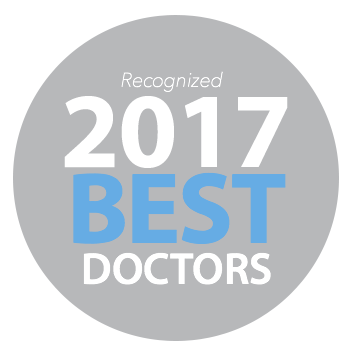 Dr. Malek and his crew go above and beyond for you and have consistently worked with me over the last 7 years to help me get the care I needed. I could not be more grateful and I know I will be a patient for life!" Have Questions? Call Us Now (919) 373-5733 OR Schedule Your Visit!